Lauren James Events is a luxury provider of event planning services in the Philadelphia region. Owners and visionaries Lauren Lerner Akman and Jamie Nadeau have a combined 21 years of experience planning over 2,200 events and over 200 weddings. Lauren and Jamie began as colleagues, but quickly became great friends. They were able to form a strong bond not only professionally, but personally because of their passion for planning events and a keen eye for attention-to-detail. In the seven years that they spent working side by side their dream of owning an event planning company gradually became a reality. Their close personal and family relationships drive them to make everyone else's family moments as special as they would expect for their own. Their dedication and relationship-driven style with their clients will provide not only a flawless event, but a memorable experience as well. Together they will bring your vision to life, step-by-step. No milestone is too small to warrant a celebration or too big to expect attention to even the smallest detail. Lauren had always dreamed of owning an event planning company one day. 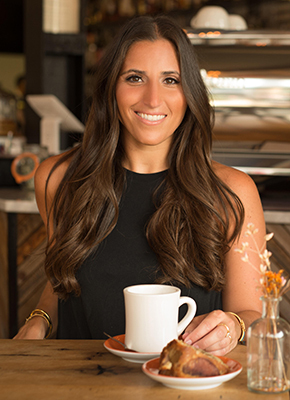 Her goal was to plan incredible events where she could achieve her clients' every vision no matter how lofty. Lauren has dedicated her career to captivating her clients and their guests through mesmerizing décor and creative details that come to life. Lauren graduated from The Pennsylvania State University and set her goal into motion. She gained world-class training during her seven-year tenure at The Ritz-Carlton, Philadelphia. The Meetings and Special Events team provided her the opportunity to interact with brides and their families, helping to plan the most important day in their lives. Lauren's high-standards and expectations of perfection and personal attention have contributed to the high praise her clients have for her work. 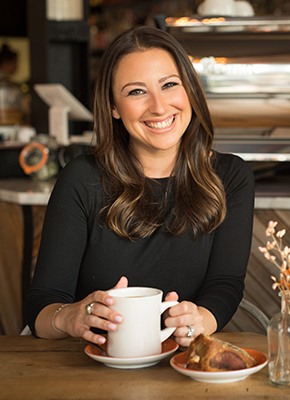 When Lauren isn't planning events she enjoys cooking with her husband, Josh, hosting events at home for their friends, traveling, and spending time with their dog, Charlie. In the summertime, she loves creating memories with her family and friends at the Jersey Shore. Jamie is a perpetual planner. When she is not hosting flawless and luxurious events for her clients, she is planning for the next "big thing". She is a natural connector; the type of person that brings friends, families, teams and colleagues together in memorable and creative ways that might not otherwise have been were it not for her dedication, persistence and passion for making all occasions special. After receiving her Hospitality and Tourism degree from Arizona State University, Jamie relocated to San Francisco where she began her career with The Ritz-Carlton, Half Moon Bay. After her exposure to premiere weddings she knew she had found her calling. A Philadelphia girl at heart, Jamie returned to her roots on the east coast to continue her career at The Ritz-Carlton, Philadelphia. Her seven-year tenure in the Meetings and Special Events department proved to be an asset as she gained extensive knowledge in the wedding industry. Her glowing client reviews speak for themselves. Jamie enjoys the smaller details in everyday life and has an exceptional eye for style and decor. In her downtime, you can find Jamie traveling and exploring new cities with her husband, Marcel, spending summers with her family at the Jersey shore, enjoying the local restaurant scene, and being active outdoors.